It is easy to feel confident among an assortment of badges, swoops, stripes, laces, colors and materials. But when you take that away, you are left with two things – design and balance. The true essence of a great sneaker is how it molds itself to your foot. How it flexes with your body and adapts to your style. 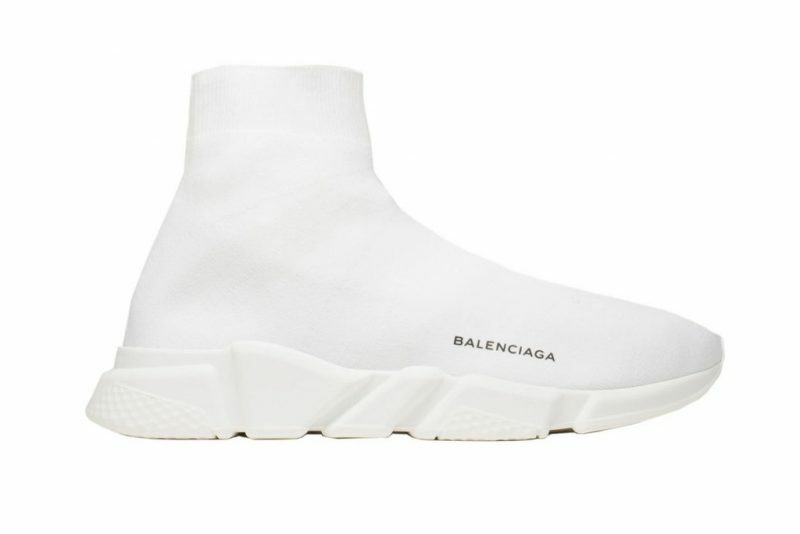 As minimalist shoes go, there is not many as bold and practical as the Balenciaga Speed Trainer (above). 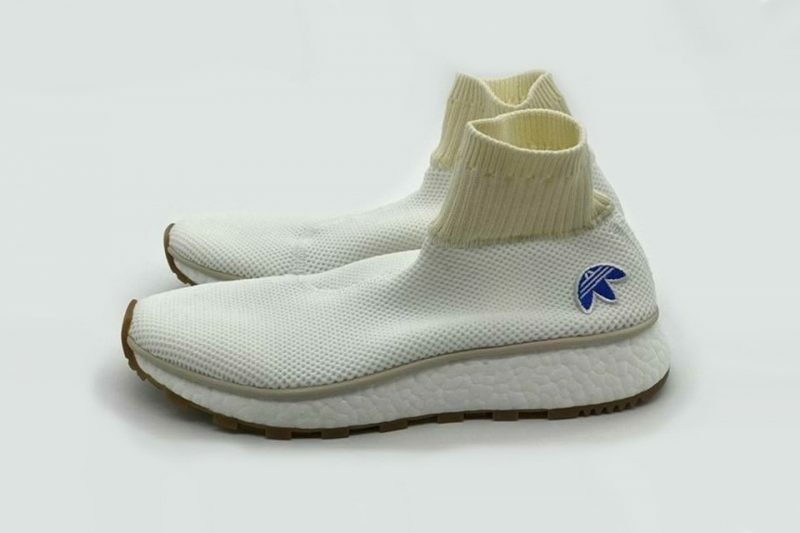 These feature a laceless ‘sock’ upper, of which its main purpose is to nestle your foot confidently within a bed of supreme comfort, support, and shock absorption. These wearable tech trainers weigh in at only 240 grams, but their impression is as heavy as a slab of iron, and we mean that as a compliment. And speaking of first impressions, the Balenciaga is not the only minimalist game with a noticeable imprint towards the future of sneaker design. The above sneaker is a collaboration between Adidas and Alexander Wang (hat tip to HighSnobiety) that is rumored to be en route to a “BOOST” badge in a fashion boutique near you. The new Adidas/Alexander Wang sneaker suggests a bit more classic take to its minimalist silhouette, but what’s hiding in those chunky, cloud-like soles – is what we really wonder about.